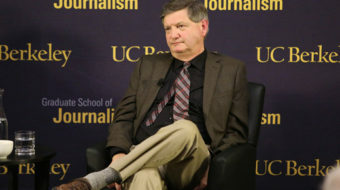 Newspaper Guild will give its Herbert Block Freedom Award to James Risen, a New York Times reporter who has defied a federal subpoena since 2006 demanding he reveal his key source. 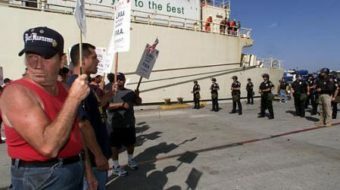 Pacific Maritime Association, a coalition of corporate shipping giants, locked out 10,500 longshore workers today in 2002. 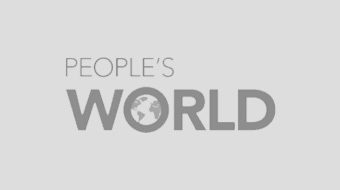 Federal employees, classified as "security risks" because of credit problems, protested mass firings and suspensions at a hearing with Congresswoman Marcia Fudge here April 23.